Economics and environmentalism are types of modern religions. So says author Robert H. Nelson in this analysis of the roots of economics and environmentalism and their mutually antagonistic relations in the twentieth and twenty-first centuries. Questions about the proper relationship between human beings and nature have led to the growth of these public theologies, or secular religions, even while both avoid mentioning their derivation from Western Judeo-Christian sources. So while environmentalists regard human actions to warm the climate, expand human populations, and increase economic growth as immoral challenges to the natural order, economists seek to put all of nature to maximum use for the production of more goods and services and other human benefits. 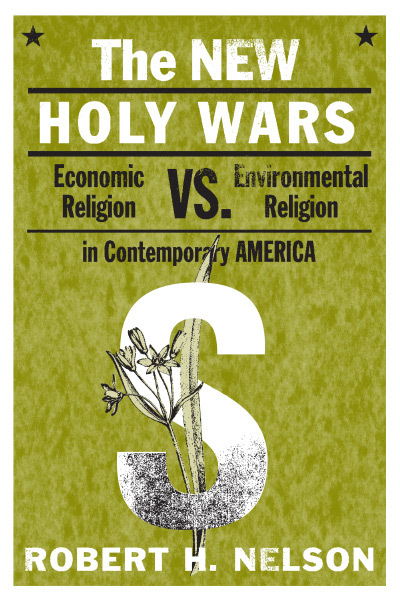 Nelson interprets such contemporary struggles as battles between the hidden, competing secularized but religious nature of economics and environmentalism. The outcome will have momentous consequences for us all. This in-depth analysis probes beneath the rhetorical surface of these two movements to uncover their fundamental theological commitments and visions. 1. What Is Economic Theology? 3. How Much Is God Worth?